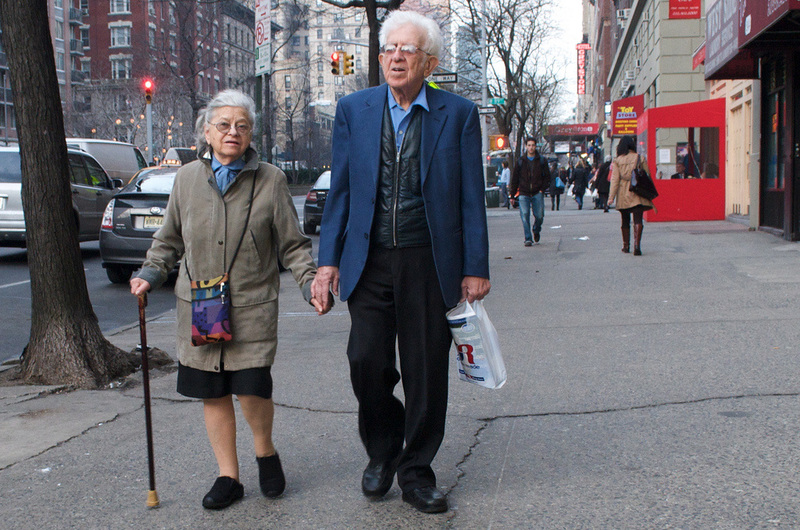 Two elderly people, Mr. Smith and Mrs. James meet at the bus stop. Oh, here is the bus. Oh no.... it went right past us. I wonder what time the next bus will come! I think the next bus only comes at 2 o'clock. We will have to wait half an hour. What is your name? I have seen you here many times before. My name is Barry. My name is Marge. I have seen you too. Where do you live? Not far from here. But it is too far for me to walk. There is an ice-cream shop here behind us. Would you like to come and have an ice cream with me? This is lovely. I am so happy to sit here with you. Let's meet again. I want to talk to you. You can tell me about your life, and I will tell you about mine. That will be nice. I think you are very handsome. It will be nice to have someone to talk to. Oh, here is the bus. We will have to hurry. Barry, it has been wonderful to meet you. I will speak to you soon. Here is my phone number. Bye, I have to get off the bus now. Bye, my dear. See you soon.